CS Garage Doors in Leeds offers homes and businesses throughout Yorkshire a supply and install service for a wide range of plastic PVC and steel gates and fencing. PVC plastic gates are a popular, modern alternative to wooden gates and fencing. Available in a wide range of styles and designs, plastic gates can be customised to suit your exact requirements and offer fantastic long-term value for money. CS Garage Door Services also supply and install high quality, bespoke steel gates and railings. As with our plastic gate range, our products are manufactured to meet your requirements. 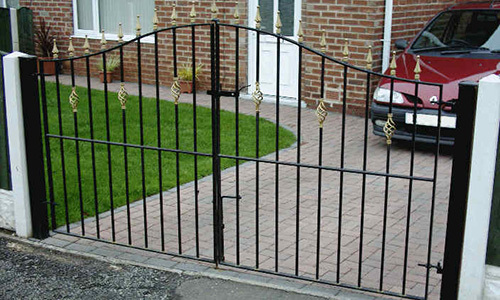 Our steel gates are popular with both homes and businesses throughout Leeds. CS Garage Door Services gate automation units can be installed on both new and existing gates, and work with plastic PVC gates as well as fabricated steel gates. 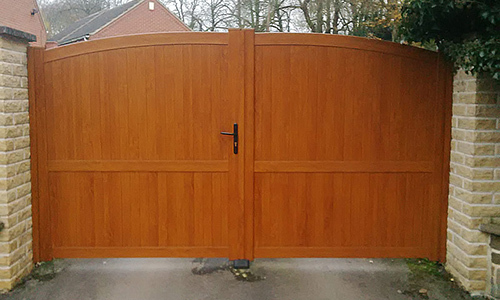 The automation units we install on gates throughout Leeds and the wider Yorkshire region enable you to open and close your gates with a remote. As standard, all automation units come come with a range of security features and safety features to ensure your automatic gates are safe and secure at all times.